It’s been a whole decade since I attended my last music festival. In June of 2008 I made the brief trek to Exposition Park near downtown L.A. to attend Electric Daisy Carnival, an event that involved ferris wheel rides, a few vodka Red Bulls, and seeing one of my favorite artists, BT, take the stage long after midnight. (This was before the entire production moved to Vegas.) By the end of it all, my eardrums were sufficiently numbed. Now, in my late thirties, I approach music festivals with cautious optimism – especially those of the EDM kind (it's not a rave!) featuring headliners I have a peripheral knowledge of. Why? Hmmm...It’s not about staying up until the wee hours of the morning and keeping up with the crowd, most of whom were born while I was in high school. I like to think that I can still hang – maybe til 3am? – under substance-free conditions of course (and we all know how I can get after just two cocktails). And it’s not a matter of the relentless bass that’s constantly dropped throughout the night and accompanied by psychedelic visuals flashing across massive HD screens. Despite any "Get off my lawn" tendencies that I may have, I still take pride in being open to sampling new artists and discovering new tracks that are not often heard on the radio. Oh wait...who listens to the radio anymore? I approach these events with cautious optimism because...oh, who am I kidding? I'm in my late thirties and value sleep more than ever. But I am also all about The Experience and making sure one's comfort zone is regularly stretched. I'm also in it for observational purposes. 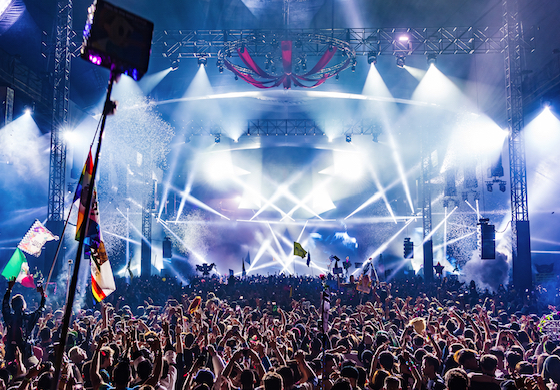 Music festivals are more than a feast for the senses; they're ripe for people-watching. 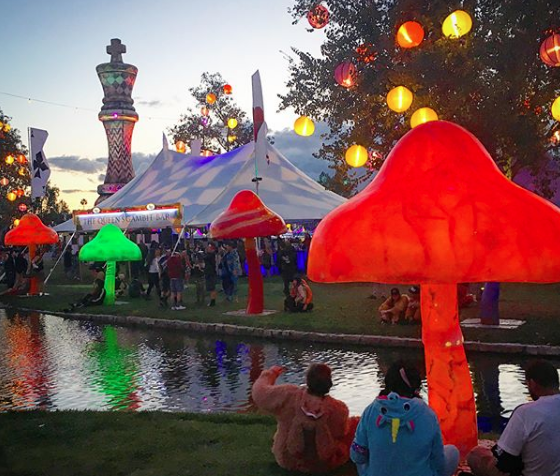 Beyond Wonderland in San Bernadino (roughly 60 miles east of Los Angeles) took place over St. Patrick's Day weekend at the NOS Events Center. 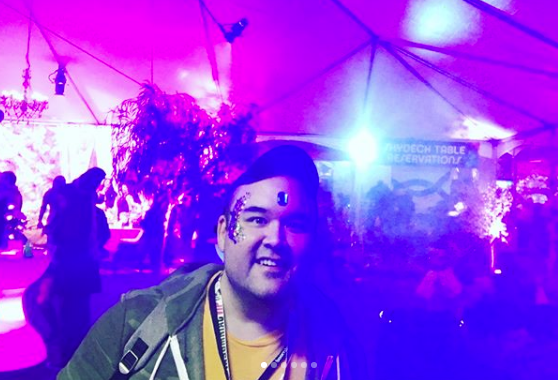 I was fortunate enough to get in with a media badge (check out my 8-hour chronicle at Bello Mag here) that granted me access to several VIP areas to watch DJs take to the stage, blare remixes, and pump out their own original tracks for thousands of bouncing fans. If I wasn't raising my hands in the air to the beats of R3hab, Alesso, Tritonal, or Yultron, I was taking advantage of every amenity inside the roomy VIP lounge, getting my face glittered up, and munching on free pastries at a large table designed to look like the one from the Mad Hatter's tea party in Alice in Wonderland. I hate and love this hat at the same time. 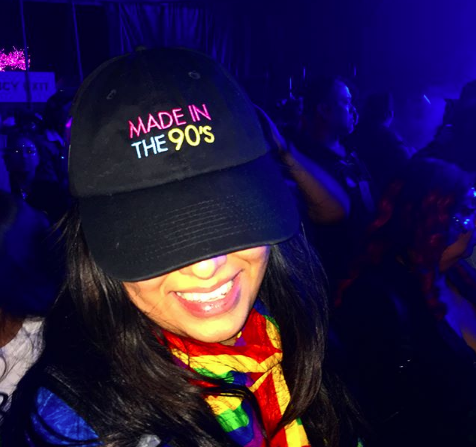 And since the event welcomed guests 18 and over, there was a wide range of EDM enthusiasts to observe. There were the sexually fluid Gen Z Pleasure Seekers, showing off their personally designed wardrobe and colorful accessories, their trigger fingers ready to live stream their experience at the drop of beat. There were the Maverick Millennials who could afford a few cocktails at the bars while in search of the perfect hashtag to commemorate the night. And then, if you looked very carefully, there were what I like to call the Vivacious Veterans, an older crowd of those still young at heart and still curious enough to check out the scene, having attended nearly a dozen of these fests since the turn of the 21st century. They're most likely fellow singletons and child-free couples. They’re the ones who embrace the current EDM moment while claiming to have loved EDM before it was called EDM. They remember names like Digweed, Orbital, and Paul Van Dyk, artists they played on repeat on their WinAmp players back in college (i.e. me). I have the same unicorn onesie! You see, I've always been fascinated by this culture ever since I was in high school, staying up late on Saturday nights listening to DJs spin their mixes on the local dance station back in New York. (Shoutout to KTU.) In college, I discovered movies like 1999's excellent Go (from Doug Liman, it still holds up) and 2000's Groove and Human Traffic. I fell in love with their soundtracks. Back then, even though I was a ginormous bookworm who didn't look the part, I felt as if I could participate in the festivities. I knew I wasn't a total "raver" or "club kid," but I enjoyed the music and appreciated a damn good remix when I heard one. So I experimented a bit. I bought a packet of mini glow sticks to place in your mouth. I impulsively purchased a shirt with an outline of a dragon emblazoned on the back. I spent some of my summer job money on a double-CD compilation called Club Hits 97. And I dropped fifty bucks on a pair of black, wide-legged nylon pants, the early 2000s equivalent of bell bottoms. They were purchased at a store called Bang Bang inside the White Plains Galleria. It was a retailer full of clothing racks for the club kids of Westchester County who liked to party in the Bronx or hop on the Metro North rail to Manhattan on weekends. I wore these pants twice. They're currently stored in a trunk in my closet. Because you never know. But what would 2018 Hiko wear? If you couldn't tell from the top photo, my Beyond Wonderland wardrobe consisted of sneakers, black jeans (straight fit), and a camouflage hoodie that partially covered my yellow Golden Girls t-shirt. Because I was all about comfort. And being myself.